Younger red wines need to be in contact with atmospheric oxygen in order to develop their optimum bouquet. Usually, such wines are therefore opened some hours before they are drunk and are left standing a decanter to allow optimum development of the bouquet. In order to ensure best possible contact between wine and atmospheric oxygen, the decanter is of a big-bellied design and is dimensioned such that a standard 750ml bottle of wine fills to the widest point. At this point, there is a maximum contact area between wine and atmospheric oxygen, which is the best possible prerequisite for bouquet development. This Decanter is a hand-crafted and manufactured in Bavaria, Germany by Eisch Glas. 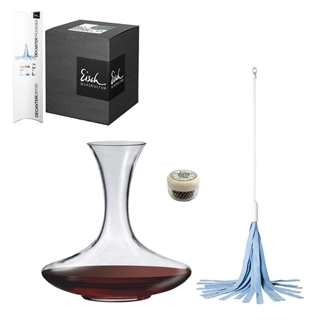 The classic shaped wine decanter from Eisch Glas will prevent those dreaded red wine stains that you get on your tablecloth. Each Eisch decanter has the NO DROP EFFECT treatment on the rim, it almost completely prevents the formation of drops from running down the side of the carafe. The wide bowl makes it easy to use when pouring and great for aerating your red wine before serving. Clean and dry your decanter with their very own dryer / cleaning brush! 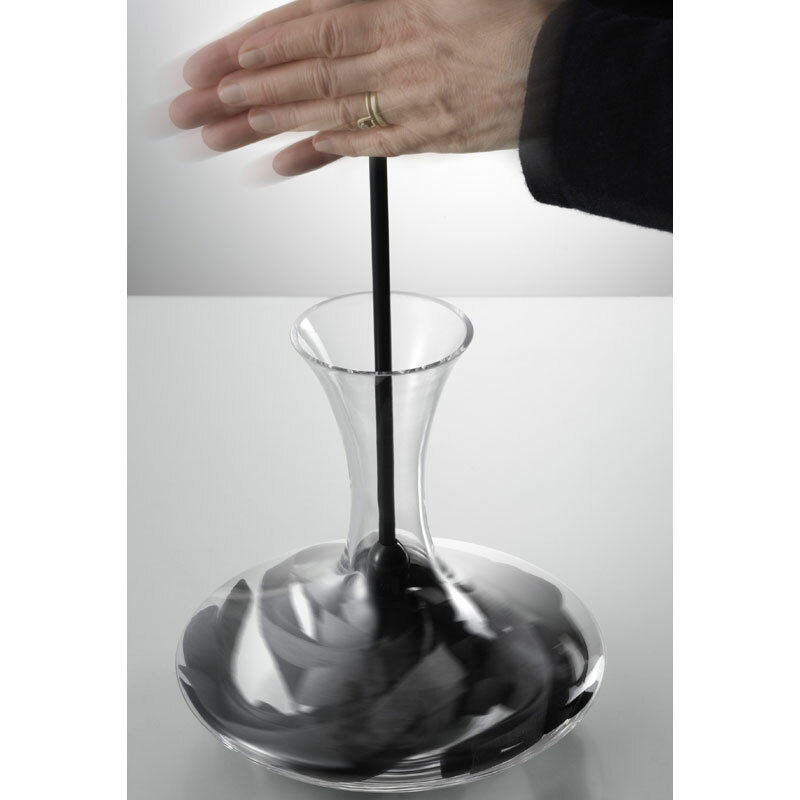 Simply twist the drying wand between the palm of your hands, making the decanter clean and dry. 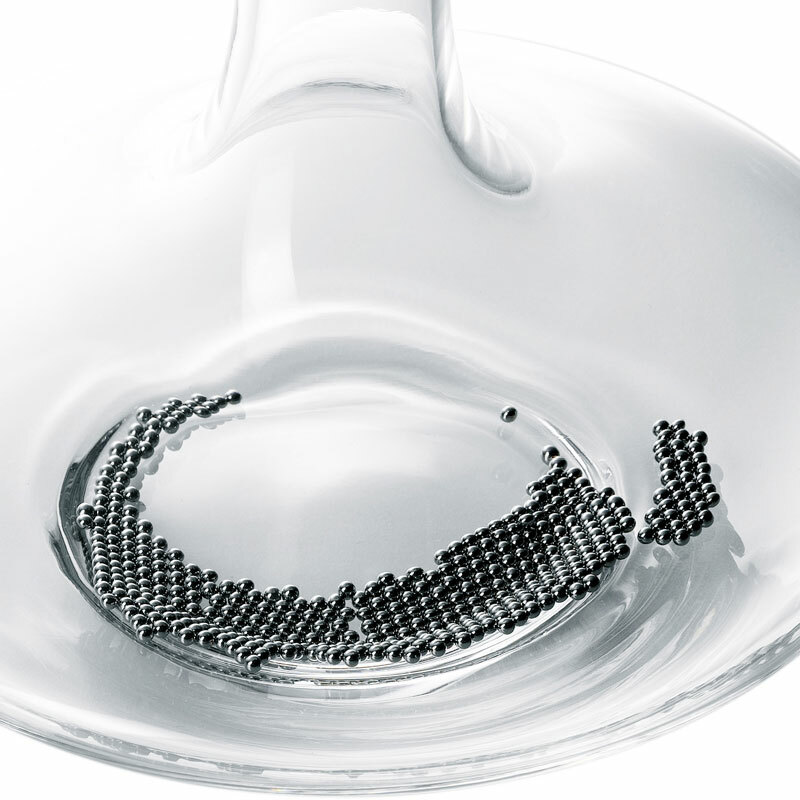 The stainless steel cleaning balls make it possible and easier to clean the tricky dirty areas in any glass decanter or carafe. 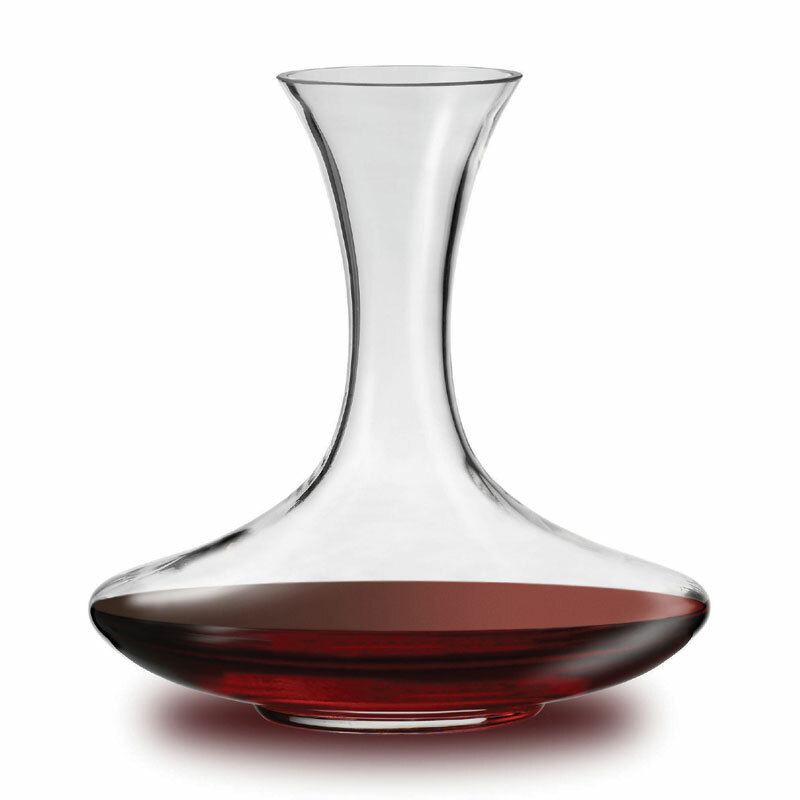 Decanter is a gorgeous shape and looks very elegant. Definitely a good idea to have the special drying tool and cleaning balls.